Sofi & the Baladis, a musical ensemble from Israel, visits Marietta as part of the Arts Midwest World Fest. The five-member ensemble, led by singer Sofi Tsedaka, features soulful and richly textured performances of an array of musical traditions that lie at the heart of Israel’s diverse and historic cultures. The group’s multi-lingual concerts present new interpretations of songs from the ancient Samaritan community as well as compelling vocal and instrumental work from mid-20th century Arabic composers. Their music transcends genres and moves easily from deeply spiritual to an upbeat and rhythmic style that captivates and brings audiences to their feet. The commentary Sofi provides throughout the concert tells the moving and powerful story of the Samaritan Tsedaka family and their search for balance as they navigate the pathway between their Jewish and Arab identities. This is the third in a series of four Arts Midwest World Fest performances at Peoples Bank Theatre. 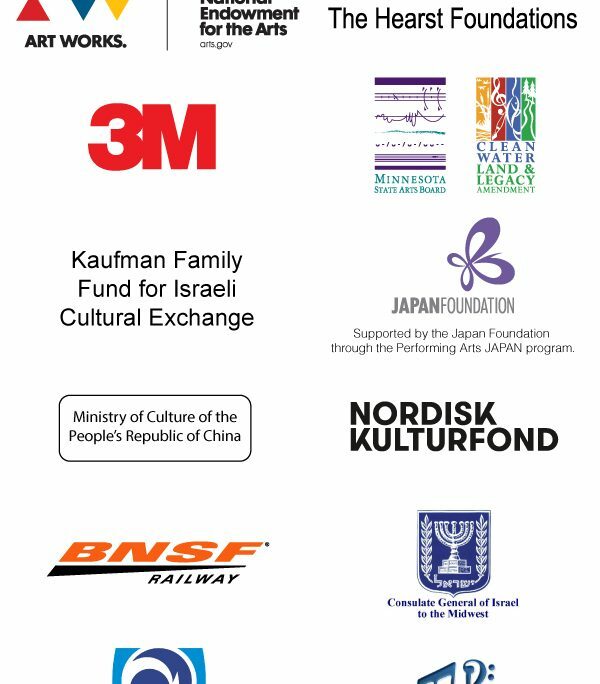 A program of Arts Midwest, the 2017–2019 Arts Midwest World Fest cycle is generously supported by the National Endowment for the Arts, The Hearst Foundations, 3M, the Japan Foundation through the Performing Arts JAPAN program, the Kaufman Family Fund for Israeli Cultural Exchange, the Nordic Culture Fund, and the BNSF Railway Foundation. Additional support is provided by the Ministry of Culture of the People’s Republic of China and the Chinese Heritage Foundation Grants Fund of The Minneapolis Foundation for Manhu. Funding for Sofi & the Baladis is provided in part by contributions from the Consulate General of Israel to the Midwest, Israel Lottery Council for Culture & Arts, and Music Port. This activity is made possible by the voters of Minnesota through a grant from the Minnesota State Arts Board, thanks to a legislative appropriation from the arts and cultural heritage fund. Arts Midwest is also generously supported by Illinois Arts Council Agency, Indiana Arts Commission, Iowa Arts Council, Michigan Council for Arts and Cultural Affairs, Minnesota State Arts Board, North Dakota Council on the Arts, Ohio Arts Council, South Dakota Arts Council, and Wisconsin Arts Board.